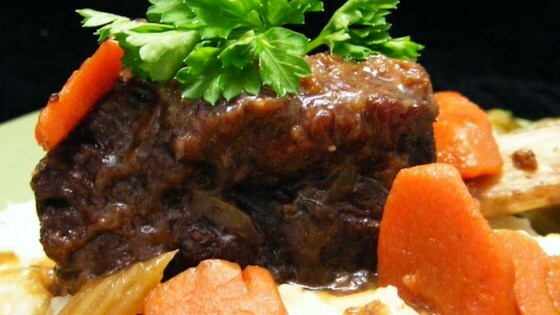 "Here's a great stove top recipe for cooking beef short ribs. They are cooked in beef stock with mixed vegetables. This dish is great served over mashed potatoes." I cooked this in the crockpot and I added a packet of dry onion soup mix to it for extra flavor. Was excellent, everyone loved it and would make again.